Following the success of the US Government's Cash For Clunkers program that spurred new car purchases, top aides to President Obama suggested a similar program aimed at getting CPU-guzzling Windows computers off the desks of US workers. It is estimated that power consumption due to excessive rebooting of these virus magnets is responsible for 42% of global warming. 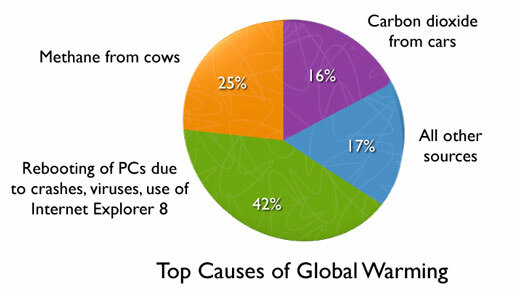 Think about it: Had you heard of global warming before Windows 1.0 was released in 1985? President Obama had help in creating this website from Mike Cohn, who is an agile software development consultant, author and trainer. Mike was supposed to be finishing a book called Succeeding with Agile: Software Development using Scrum this week. But he couldn't pass up the chance to make this site. Mike had some help from Terry Eaton who designed the site and from T.G. who helped with the content.